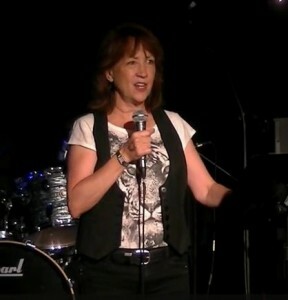 Our guest speaker for the June, 2014 Nashville Berklee Jam was award-winning vocal coach, Judy Rodman. In this in-depth workshop she covers many facets of the most challenging endeavor a vocalist will encounter, singing in the studio. Here are some highlights from her talk (her entire presentation can be viewed below). Make sure that you get the cue mix that you want. Make sure you get the right amount of reverb. Try singing with one side of the headphones on and one side half off. This allows you to “be a little grounded in the room acoustically”. Take some things out of the mix that are swimmy or distracting. Another thing that makes studio singing hard is that most studio settings are not set up for optimal singing. “I’ll bet you 95% of the studio’s I ever go into, the mic is not set up, the music stand is not set up, the cue box is not set up in ways that would help a singer automatically have the best breath control.” During her talk, she demonstrates the proper way to place a mic stand, music stand and cue box to give the singer the space they need to optimize breath control. “Move the music stand and cue box back a little.” The singer shouldn’t have to lean forward to reach the mic. Lastly, “You want to know how to maximize your efforts so you get magic”. Know how to prepare for the studio, know your songs backwards and forwards, know your keys and tempos. The day of your vocal session – get a massage, drink water like a fish, watch what you wear (noisy fabrics, ball caps, sun glasses – don’t let anything come between you and the vocal). Judy Rodman is an award winning vocal coach, session singer, recording artist, stage and television performer, songwriter and vocal producer. Named ‘Best Vocal Coach” by NashvilleMusicPros.com and “Vocal Coach in Residence, August 2013” by TC Helicon’s Voice Council Magazine, Judy teaches her trademarked vocal training method “Power, Path and Performance”™ to singers and speakers nationally and internationally in her office, by phone and Skype. She is a published author with several professional vocal courses; her “All Things Vocal” blog has over ½ million views. Her vocal clients include major and indie recording artists and labels, touring and studio background singers, national public speakers and voiceover talent. She has had #1 records as an artist, songwriter and producer, and won ACM “New Female Vocalist” and BMI Millionaire awards. She is member of NATS, AFTRA, SAG AFofM, BMI. Judy’s vocal students include: Kacey Musgraves, Mat Kearney, Pam Tillis, Dakota Bradley, Radney Foster and Brian White, to mention a few. 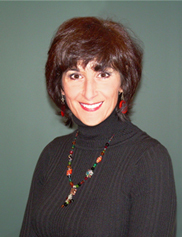 To learn more about Judy or for more practical vocal tips please visit her website, JudyRodman.com. 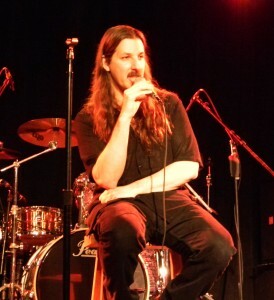 The Berklee Nashville Jam is a bi-monthly event held on the last Monday of every other month at the Rutledge and hosted by Berklee alum, Eric Normand ‘89. The event, which is open to the public, is free for alumni and a guest; and $5 for non-alums. After the guest speaker, attendees are welcome to jam with the house band and others from the Nashville music community. 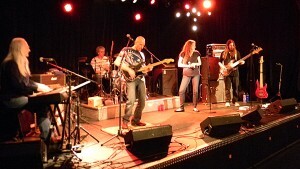 For more information about the Berklee Nashville Jam, visit www.nashvilleberkleejam.com. Our latest Nashville Berklee Jam at the Rutledge was a great success. This was our most well attended event to date during which we were treated to a master class about songwriting and some inspired performances during the jam that followed. 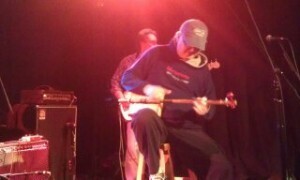 On this night we were very fortunate to have hit songwriter and Peach Pickers member, Ben Hayslip as our special guest. I would like to thank fellow alum and guest blogger Shantell Ogden ’05 for writing the following article. 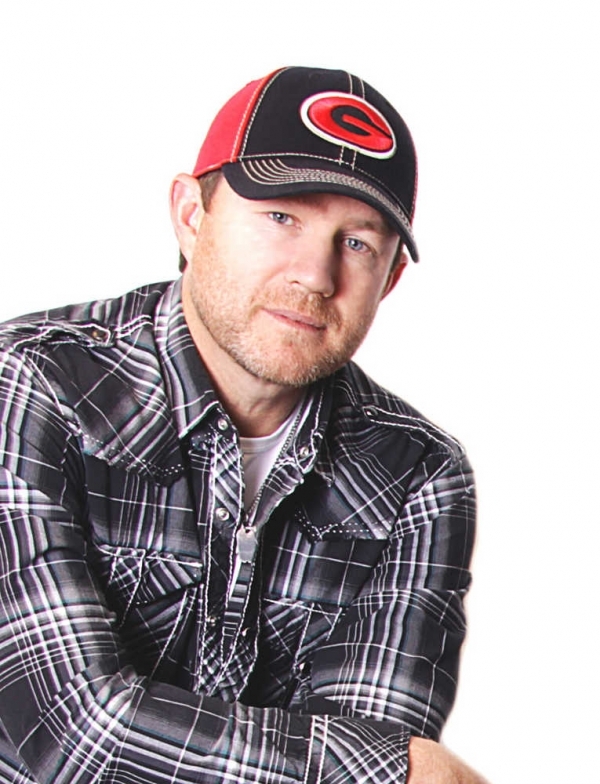 Ben Hayslip found his way from Evans, Georgia to the top of the country music charts. And, we were lucky enough to hear his story at the most recent Nashville Berklee Jam at The Rutledge in downtown Nashville, hosted by Eric Normand. Ben attributes his success in the music business to three things: refusing to fail, working hard at it every day and writing songs that he loves. 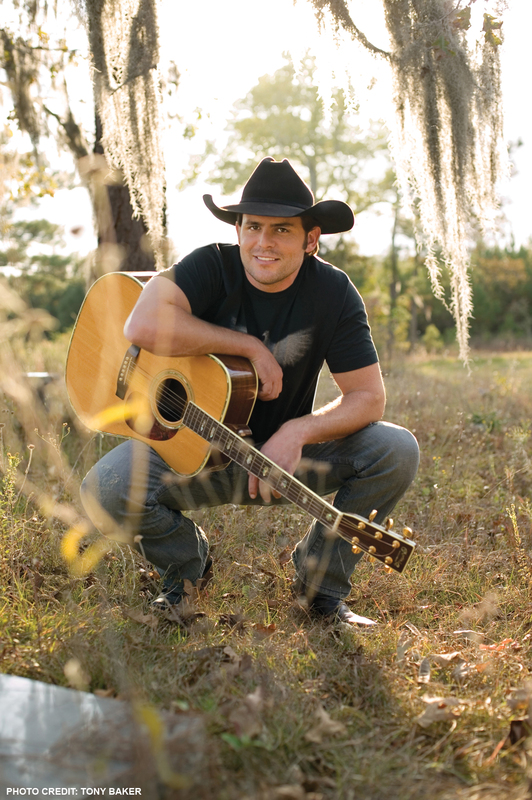 But navigating the industry wasn’t always an easy journey for Ben, who took his mom’s advice and moved to Nashville in 1994 to join his childhood friend Rhett Akins (who then had a record deal). On one hand, Ben had three publishing offers after his first year in Nashville to choose from. He had his first cuts within a couple of years with Trace Akins and Blackhawk. Other successes in his career, though, he worked for years to see. Ben had built up a successful company selling ball caps on the side while writing songs to provide for his growing family. He would sell caps from 7:00 a.m. until 1:00 p.m. every day, then write in the afternoon. His business was really taking off when he got a call from Rusty Gaston. Rusty was starting a new publishing company, This Music, and he wanted Ben to be his first signed writer, but there was a condition. Haylip’s career really started to hit a new level when he focused on writing songs and ‘doing what he loved.’ When Ben and Rhett connected with Dallas Davidson, something even more magical started to happen. Their ‘tailgate and truck’ songs resonated with people and redefined country music. 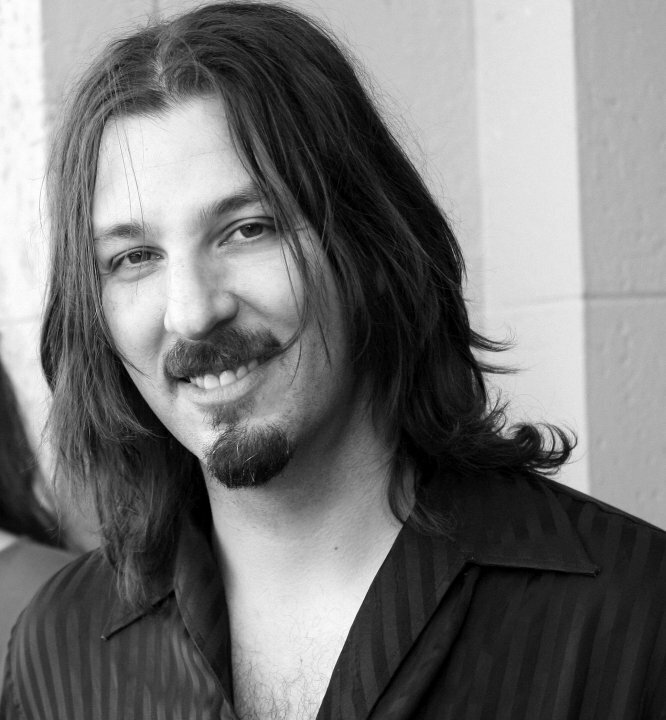 The songwriting trio, known as the Peach Pickers, has churned out dozens of hits in recent years, Ben with 15 number ones in five years to his credit. 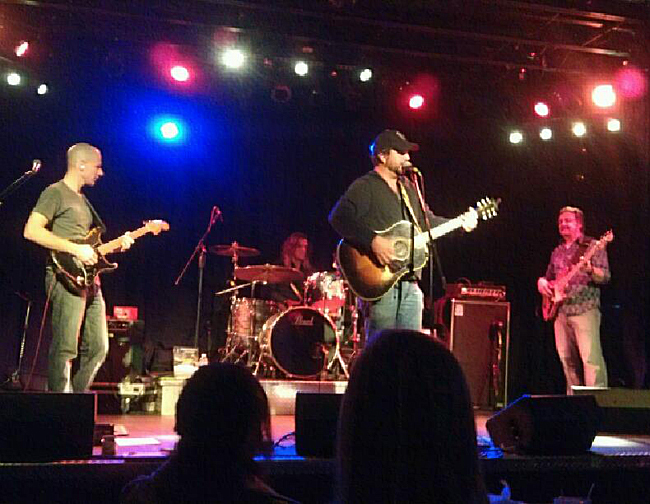 Ben Hayslip performing hits with Eric Normand (guitar), Mike Chapman (bass) and Nick Forchione (drums). Ben recognizes that even though tailgates and trucks are still very real to him because of his rural roots, country music needs to shift into something different because “it’s all been done.” He’s working on figuring out what’s next every day he writes. So what’s next for this two-time Songwriter of the Year winner? Charles and Otis Redding,” he says. Given his work ethic, long list of success and passion for doing what he sets out to do, I have no doubt that it’s just a matter of time. For more information about Ben, find him on facebook or follow him on twitter. You can also watch Ben’s talk and performances in their entirety below, special thanks to Jack Zander for videotaping this event. Monday, October 28 was another great Nashville Berklee Jam, and our special guest on that night was Nashville’s most in-demand performance coach, Diane Kimbrough. Early on in her talk Diane addressed the essence of performance coaching. She explained that you need to “create an experience” and that you need to “go deep into your music and find what speaks to your audience”. The music that is dearest to my heart would be most American roots music recorded up to the mid-1970’s, music born of an era when the visual presence of an artist played a lesser role. Back then, the power of the music itself was more integral to an artist’s success. Well you know the old saying, “video killed the radio star”. As much as I would rather just get lost in my music during a live performance, I do realize that if I fail to acknowledge my audience and bring them into the show they are less likely to “get” my music. After all, it’s no longer 1969, and I’m not performing at the Fillmore. “I’m playing for you guys”, I answered. 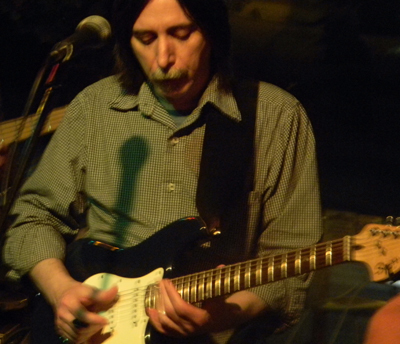 I explained that I was actually looking down at my left hand on the guitar, which happens to be in line with the floor, perhaps a habit that many of us guitar players have. We tried the song again, but this time I made it a point to look ahead and into the crowd, making eye contact with several people while engaging in a few visual enhancements. I have to say that the performance was instantly more powerful, drawing a more notable response from the crowd. 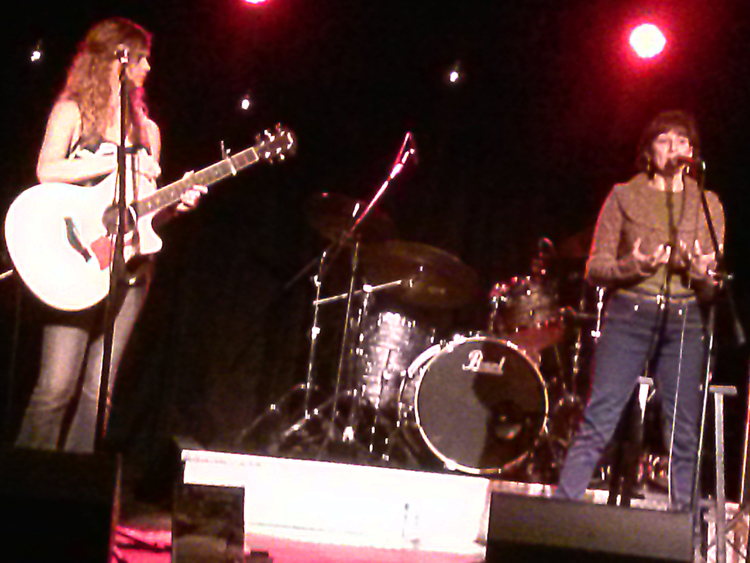 After the second chorus of the song Diane stopped us midway through my guitar solo. She also addressed my other bandmates. We tried the performance one last time and, needless to say, the different mindset not only translated into a deeper connection with our audience and a bigger response, but also made for a better musical performance. Diane commented on our improvements and finished her part of the night with a few more remarks. If you’d like to learn more about Diane or e-mail her some questions, please visit her website. The Nashville Berklee Jam is held at The Rutledge on the last Monday of every other month, with the next event to take place on Monday, February 24, (guest speaker TBA). As host of the Nashville Berklee Jam, the job of booking special guests at this bimonthly event has been an interesting one. The Nashville music industry is chock full of music industry insiders and this fact has yielded some great talks for us over the past year and half. During this time, I’ve been asked a few times to give one of these talks and on Monday, August 26 I decided to share my perspective. Earlier that month I had given an in-depth clinic about the Nashville music industry at the Berklee College of music in Boston, so a continuation of that theme seemed like the logical thing to do. I decided to take it one step further and enlisted the help of my friend and colleague, A-list session bassist, Mike Chapman. 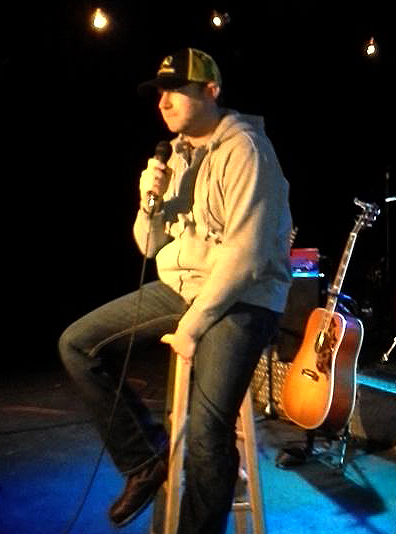 I spoke first, giving a talk that was essentially an overview of the Nashville music industry. 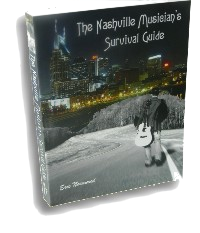 Much of this “street level perspective” of the music related jobs in Nashville was basically a condensed version of my book “The Nashville Musician’s Survival Guide”. After my talk, Mike gave a talk which covered some finer points about the recording industry side of Music City. 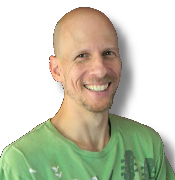 Rather than elaborating on these discussions in a blog, I thought it would be more beneficial to simply share the following videos of these talks (special thanks to Jack Zander for filming, editing and posting the videos). For a different perspective, you can also check out this blog written by Berklee alum, Amanda Williams. So here you go, videos of our talks and a few performances! The Nashville Berklee Jam is held at The Rutledge on the last Monday of every other month, with the next event to take place on Monday, October 28 with special guest, performance coach, Diane Kimbrough. After Diane’s talk, she will be sticking around and offering free critiques and coaching to performers and jammers. Please e-mail me if you would like to take part in this part of the event. Or just show up and let me know that you are interested in participating, we’ll do our best to squeeze you in! For those of you who missed our second Nashville Berklee Jam at the Rutledge, you missed quite a special night. 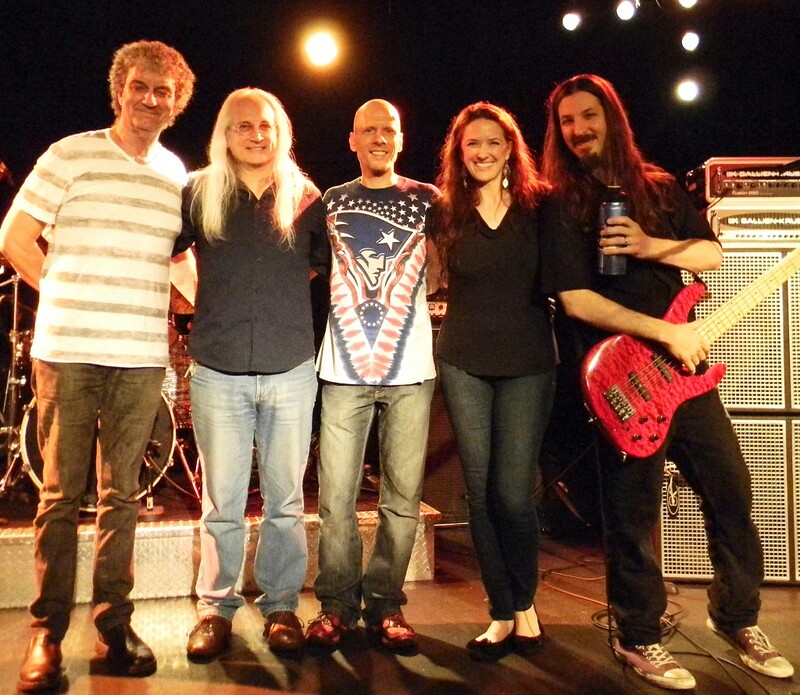 Berklee alum and bassist for Steve Vai and Joe Satriani, Bryan Beller shared a fascinating story and some great insight, as well as a great performance with our house band and his wife, Kyra Small. 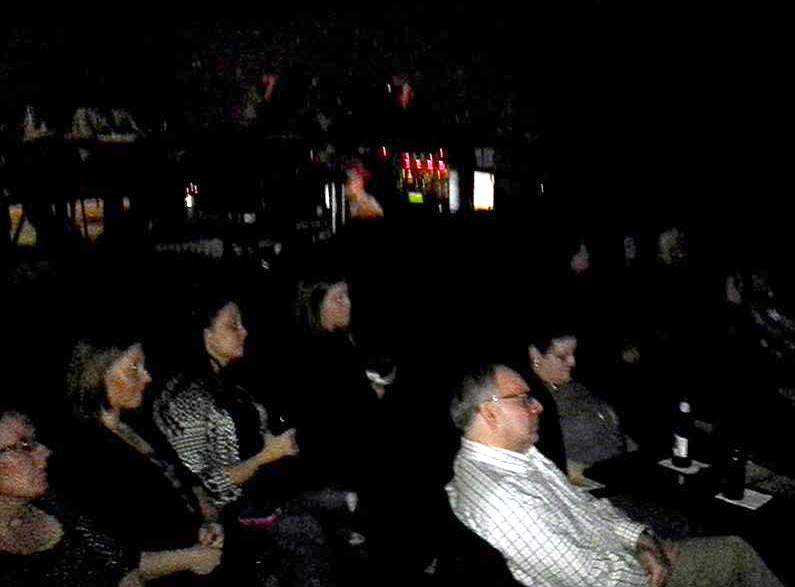 Fortunately, we captured the whole evening on video (special thanks to Jack Zander for filming and video editing). Here are some highlights from this great night! The Nashville Berklee Jam is held at The Rutledge on the last Monday of every other month, with the next event to take place on Monday, October 28 with special guest, performance coach, Diane Kimbrough. 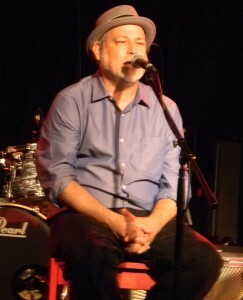 Here’s the videos of Dave Pomeroy speaking at our June Nashville Berklee Jam, plus a video of Dave performing one of his original tunes “Old Friends”. Video courtesy Jack Zander. 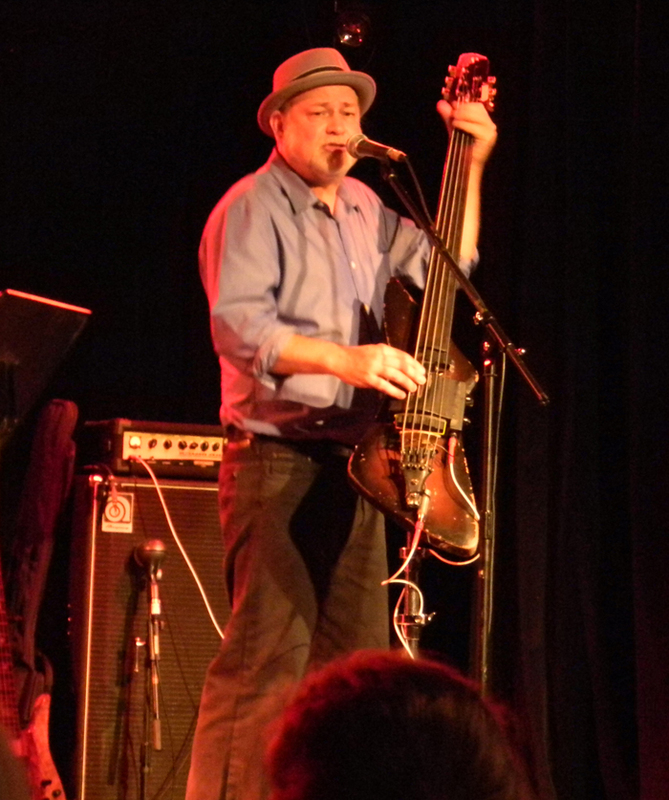 Long before recording with artists like Emmy Lou Harris, Alison Krauss, and Peter Frampton, Nashville Musicians Union President and our guest speaker on this night, Dave Pomeroy was learning how to play the standup bass in a school orchestra in Virginia. 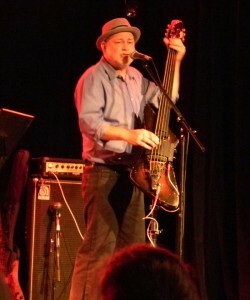 Growing up as the son of a military man, Dave experienced life in a few different places and also learned how to play the electric bass before eventually permanently relocating to Nashville in 1977. Following a musical heart inspired by the British Invasion, his foray into the world of the fretless bass would eventually come full circle when his skills landed him session work with Keith Whitley and Trisha Yearwood many years later. The road that led to A-team session work in the Nashville studio scene of the 80’s and 90’s was filled with a plethora of life and music enriching experiences. Working with the legendary Don Williams from 1980 to 1994 was a “journey into minimalism” which ultimately taught him the power of the song. Under the wing of this world-class songwriter and performer, Dave learned how to become a great songwriter, studio musician and producer in his own right. A key moment in Dave’s life came 10 days after he finished recording on Keith Whitley’s fourth album, when the legendary singer died suddenly of an alcohol overdose. 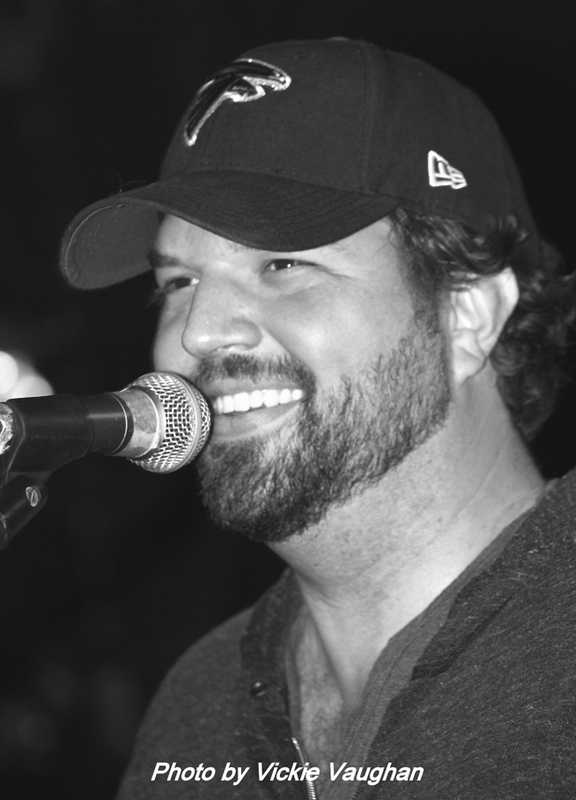 Dave continued on as an in-demand session player, his work with Keith Whitley ultimately leading to recording the bass tracks on Trisha Yearwood’s first seven albums as well as countless other major-label projects. He joined the Nashville Musicians Union, AFM Local 257 in 1978, gradually becoming more and more involved in the years that followed. As the years rolled by he became frustrated with the status quo of the Union, feeling there was a growing “disconnect between players and leadership”. In 2008 he ran for union president and won the election. Dave shared that the Musicians Union has totally changed, both here and nationally and spoke about its role in regards to the rights of the individual musician. One of his roles as union president is fighting for musician and songwriter rights to be paid for their work, and the reality of digital piracy. After some questions and answers Dave played a brief set of original solo material using a very unique approach. Tying into his theme of “individual entrepreneurship in a changing music scene” he used two basses, one on a stand and one he wore around his neck to create loops on the fly using a loop machine. He then sang tunes over the loop accompanying his performance on the second bass by playing secondary parts, fills and solos. It was an inspired performance that everyone seemed to thoroughly enjoy. His portion of the night concluded, and the open jam began featuring a combination of Berklee alumni and others from the Nashville music community. The jam covered a lot of ground, everything from blues jams to original songs by some up-and-coming Nashville songwriters. 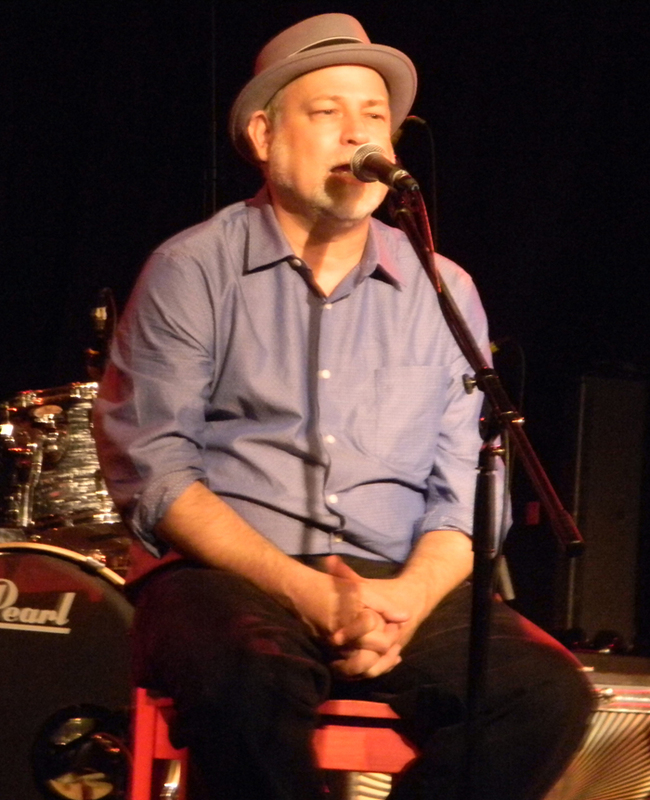 I would like to extend a big thank you to Dave Pomeroy for sharing his wisdom and music, Jack Zander for videotaping this event, The Rutledge, Berklee alumni volunteers Shantell Ogden, Heston Alley, Blake Branch, and everyone else who came out for this event. See you at the next one! Among those who performed were alums, Amanda Williams (also one of the organizers of this event), Mason Stevens, who played a Delta blues instrument known as the “Diddly Bo”, drummers, John Rodrigue and Russell Garner, and bassist, Austin Solomon (Austin took a means solo in Cissy Strut). 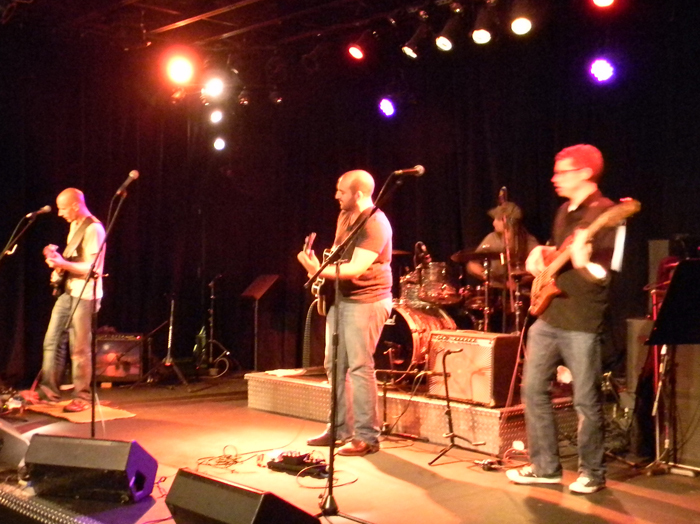 A few others from the Nashville music community also sat in on drums, Austin Marshall and Tom Drenon. I gave him a brief introduction, he spoke briefly about his journey to Nashville and how he got his start as an “in-the- trenches commercial songwriter”, and then he quickly got into some questions and answers. 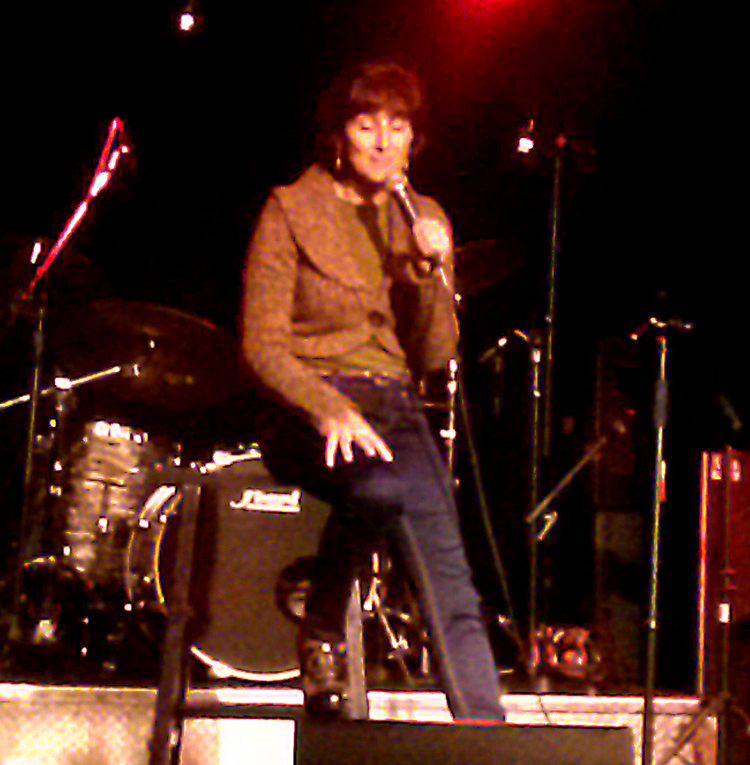 He went on to tell of how he got his first big break, a story which underscores the importance of a person’s character. Dallas spoke about how he uses his small-town roots to provide topics to write about, as he wants to be “the mouthpiece” of his rural friends. He shared that he likes to write the melody first, then the groove before starting on the lyrics. Concluding his portion of the night was a mini set of four of his recent number one hits, which we were fortunate to capture on video (courtesy Jack Zander). 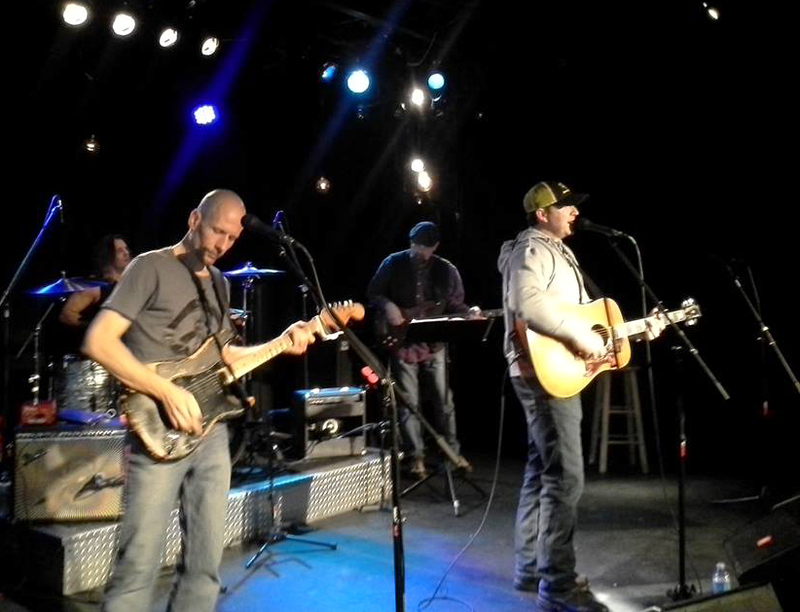 The band behind him on this night consisted of the players who backed Dallas and Rhett Akins on the 2012 Luke Bryan Farm Tour – Tom Good on bass, Nick Forchione on Drums, and me on guitar. Dallas’s heartfelt performance was well received, and upon its conclusion I thanked him and took a few minutes to reorganize for the jam portion of this event (which will be explored in part two of this blog). Meanwhile, please enjoy the videos below from Dallas’s performance!